← World Gin Day is back! Take Three Chefs made a triumphant return to Settle Victoria Hall in May 2013 with some new faces gracing the stage along with our local celebrity chef herself, Stephanie Moon from BBC Great British Menu. First up for his first ever demo was Matt Birtwistle, head chef at The Plough, Wigglesworth. A faultless, informative and impressive demo utilising the full repertoire available from the limited equipment. 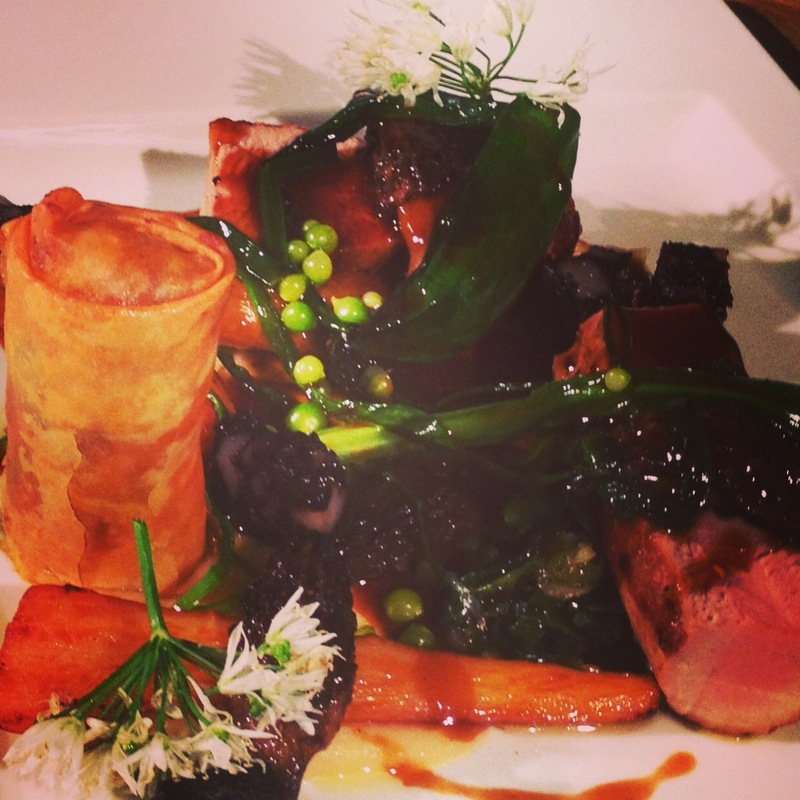 Pork Fillet, Pork Belly Filo Roll, Mearbeck Farm Black Pudding Puree, Wild Leek and Foraged Wild Garlic, Settle Brewery Reduction. 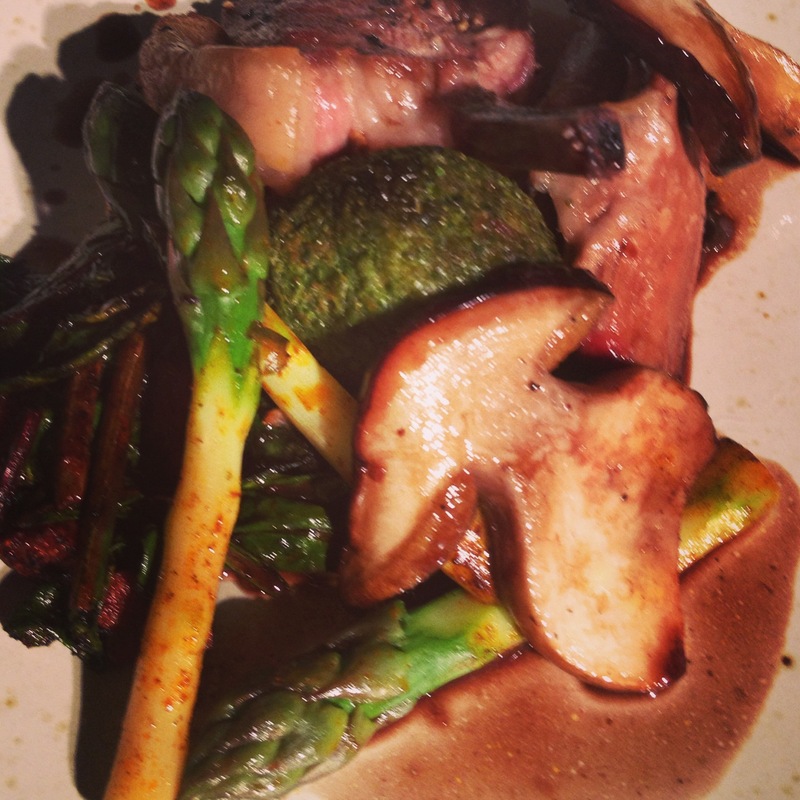 Matt Birtwistle has just been awarded 2 AA Rosettes at The Plough Wigglesworth. 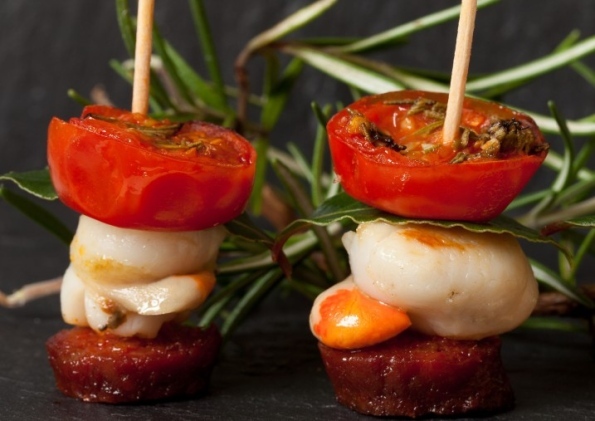 Next was Joan Ransley with Yorkshire Chorizo, Scallop, tomato and woody herbs. 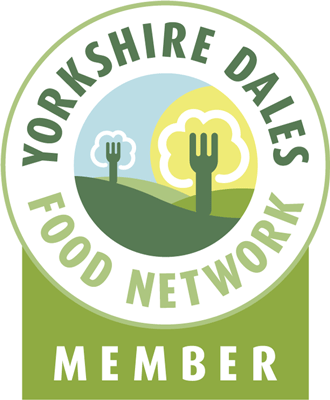 Joan is currently hosting an exhibition in The Gallery on the Green, Settle, North Yorkshire and her recipes from the exhibition are available to download here Yorkshire Food Online. 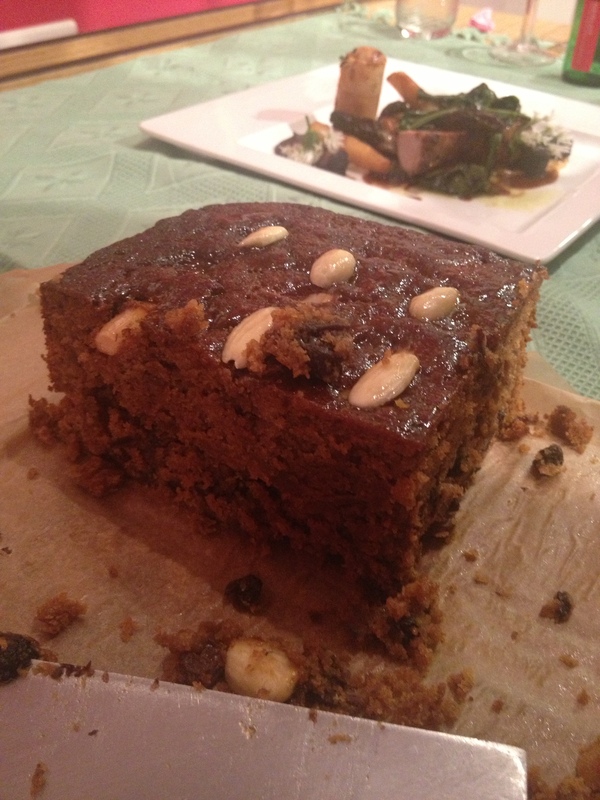 Joan also prepared an old fashioned Yorkshire Ale Cake which sounded and looked fabulous. Andy Swinscoe from The Courtyard Dairy explained which cheese to choose to make the perfect cheeseboard, what order to taste and how much you need to buy… not as much as you think so go for great local cheeses that wow! 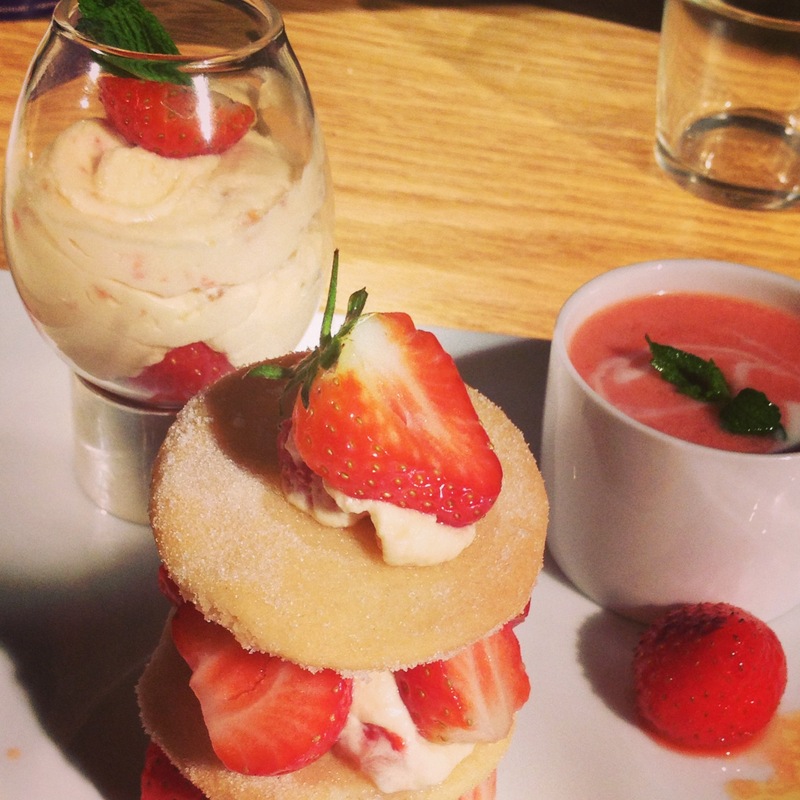 Finally our very own Stephanie Moon created 3 quick fire recipes of Yorkshire Lamb Three ways, Whitby Mackerel, FOrager’s Salad with Pickled Baby Vegetables and for dessert Berry, Berry Yorkshire Strawberry, strawberry shortcake with a strawberry soup and syllabub. 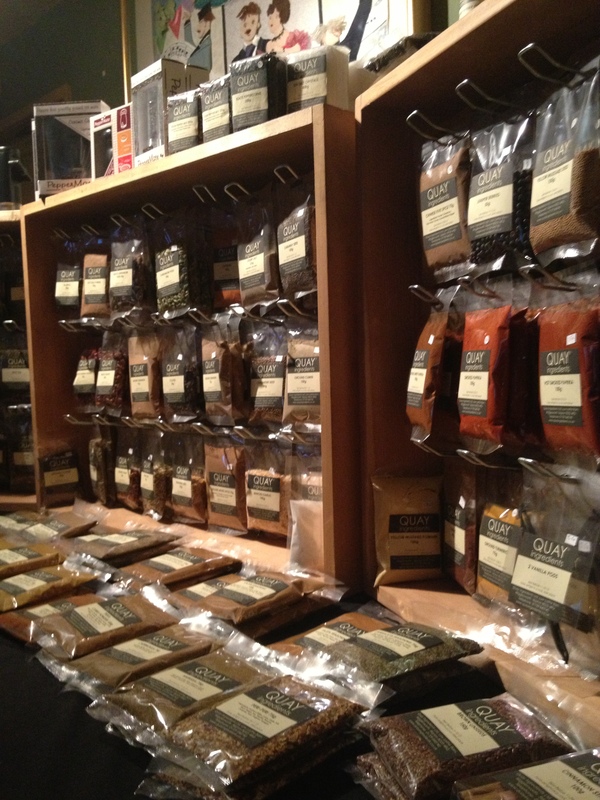 Quay Ingredients of Rathmell, a spice emporium of the highest order, housed in a barn. 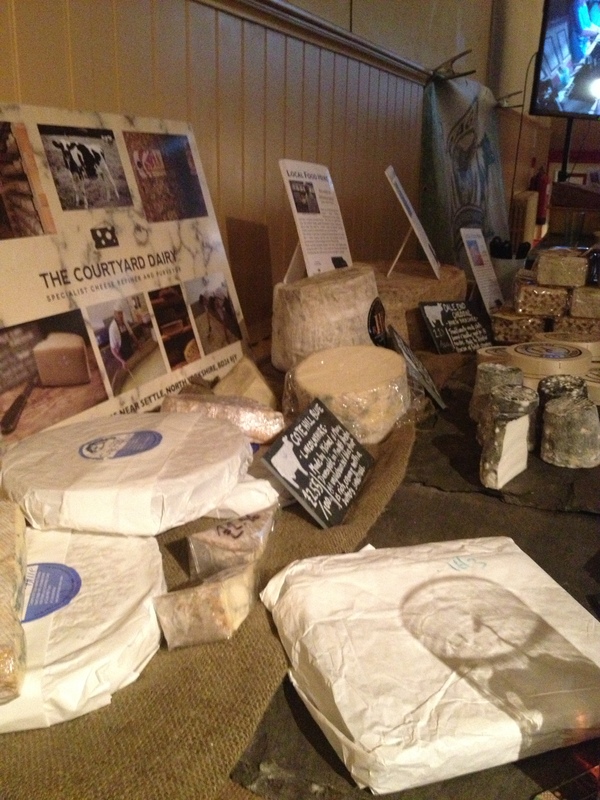 The Courtyard Dairy with probably the finest selection of unpasteurised cheese in the North of England. The Courtyard, Settle. 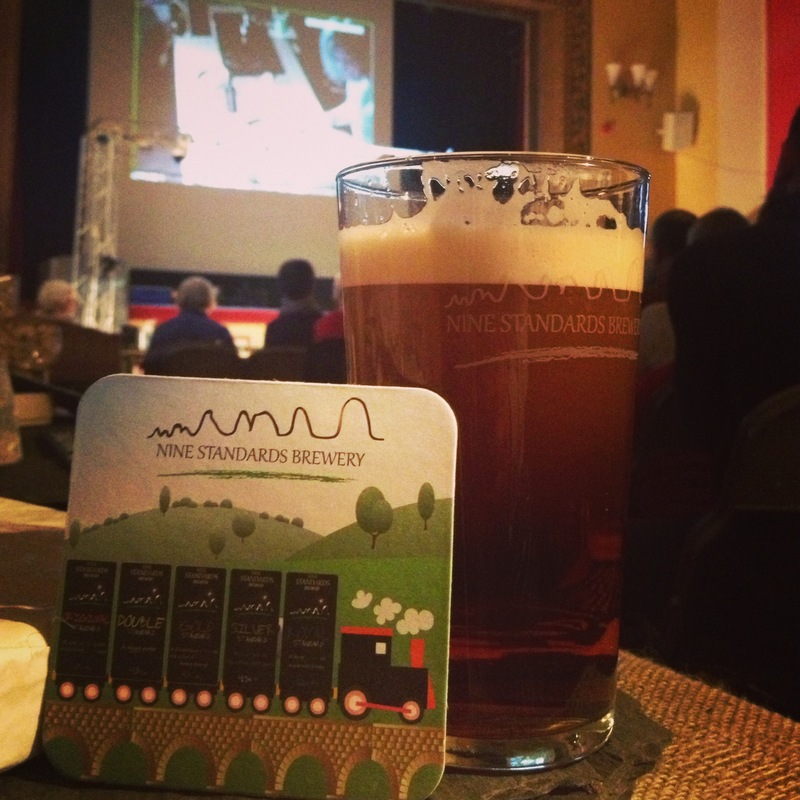 Settle Brewing Company, incorporating Nine Standards Brewing Company and I can tell you the pint of Signal Main Line pictured was as good as it looks! and of course a selection of the finest Yorkshire Chorizo! This entry was posted in cheese, chefs, Chorizo, Events, Food, Food & Recipe Books, Foraging, Lamb, Recipes, Seafood, TV, Wild Food, Yorkshire, Yorkshire Dales Food and tagged Andy Swinscoe, bbc, Celebrity, chef, cook, Courtyard Dairy, Food, Great British Menu, Home, Joan, joan ransley, Leeds, matt birtwistle, Moon, North Yorkshire, settle, stephanie moon, take3chefs, victoria hall, york. Bookmark the permalink.